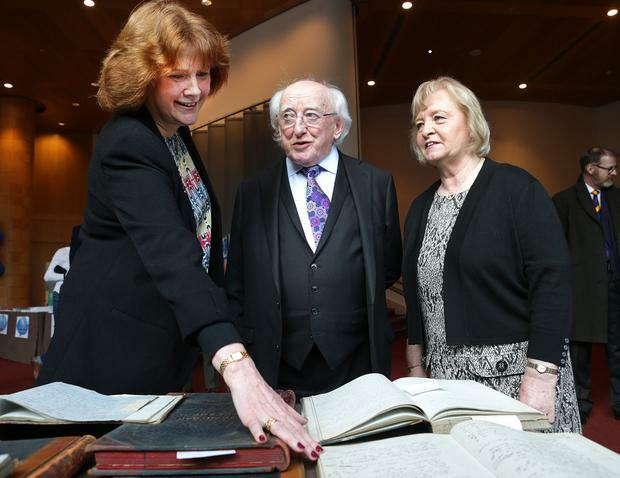 President Michael D Higgins has spoken about the need for "human connection" in the digital age. The President called on people to make time to meet and talk to tackle Ireland's crisis of loneliness. Speaking at a celebration of 175 years of the Society of St Vincent de Paul at Dublin's Convention Centre yesterday, he said: "Society has a huge problem of loneliness, human contact is more important than ever." Mr Higgins added: "How we meet and speak to each other matters. We live at a time where more and more of our interactions with others are encountered in a digital space, be it laptops, tablets or phones." He highlighted the positive impact of the internet, but said digital life presents challenges. "There is no denying the practical contribution of the digital world, particularly for those who are increasingly 'time poor' and who may struggle to balance work and family commitments within a day that is never quite long enough," he said. "Despite all of the technological advances, human contact is something that defines us as a people, be it through conversations, face-to-face interactions or simply taking the time to have a chat." Research has shown that loneliness can lead to illness and a 50pc increased risk of early death - while holding a loved one's hand, cuddling and visiting friends and family are as important to our wellbeing as drinking more water and exercise. Mr Higgins praised the charity's work: "May I also acknowledge the tremendous work the Society of St Vincent de Paul does, week-in week-out, in supporting people, communities and disadvantaged groups all over Ireland. With over 1,200 Conferences and 11,000 volunteers working in eight regions, this is indeed an exceptional network of solidarity, compassion and care providing support to those in need. I would like to thank each and every one of you for your dedication and your commitment to others." In a message to politicians, SVP national president Kieran Stafford said: "Despite the constant commentary that 'the economy is booming' we know that the rising tide is not lifting all the boats, in fact, we see that many we visit are sunk and if it were not for our support would also be bereft of hope." Mr Higgins said people were facing "a myriad of challenges" in Ireland. He said: "Their lives can be affected by low income and the effects of debt, unemployment, educational disadvantage, poor health, relationship breakdown, bereavement, addiction, violence, loneliness, disabilities, overwhelming caring responsibilities and other challenges." Pointing to the growing inequality gap between rich and poor, Mr Higgins said: "Despite the measures that may suggest an improvement in our economy, there are still too many people in Ireland struggling, too many living in consistent poverty. This has to change. "We need to continue the work to make Ireland a more equal place to live and to work; where caring for each other and our children, older people and people with disabilities is a core value and supported; where individuals, families and communities can participate fully in work and society; and where a strong economy helps to support the kind of society that we wish to live in." Last year the World Economic Forum highlighted Ireland's "soaring wealth inequality". The country was placed eighth out of 30 in the organisation's Inclusive Development Index. The report found that although median living standards had risen modestly, Ireland was faced with "high income inequality and soaring wealth inequality".